No, I'm not talking about a sale! Although, perhaps you should visit a blowout sale while you're at it. 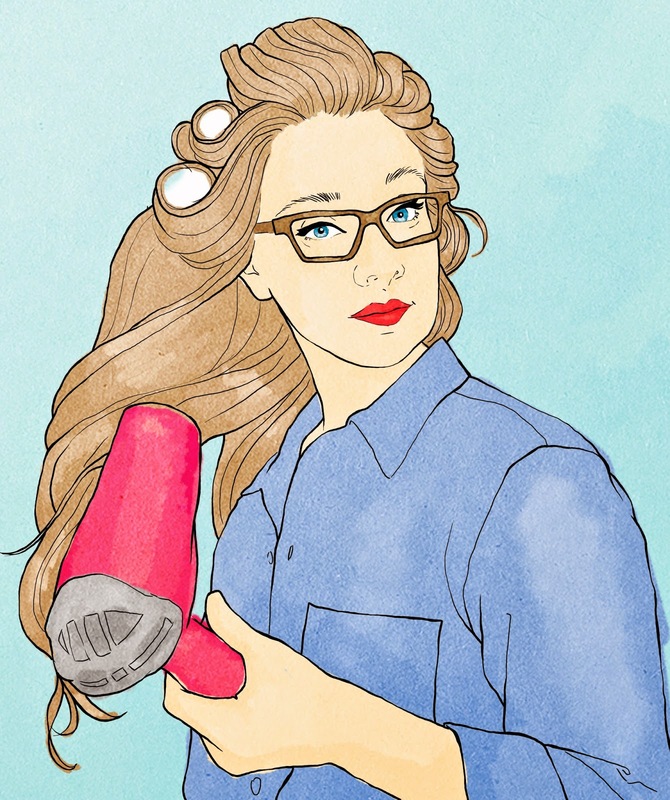 Today's illustrations not quite what I mean by "get a blowout," since many of you probably do blow dry your own hair every day. I, for one, try to avoid it as much as possible, but that's another story for another time. Today's installment in our "31 ways in 31 days" to celebrate your birthday is to go to a salon and have a blowout. Most salons now offer blowouts as part of their menu of services. You can get a blowout without even having a haircut. I must say that I've only had this done a few times, most times in relation to being in a wedding party, but it is always really enjoyable. My hair is naturally wavy to straight, but my friend Alex has very tight curls. One of the crazies and coolest things I've ever seen is when she and her sister went to have blowouts together just for fun. It's crazy how different people look with a different hair texture! Even if your hair is naturally straight, though, it does always feel more glamorous to have a professional style your hair. So, today, make an appointment to have a blowout! It's cheaper than a haircut or a salon dye job, and it just makes you feel a little bit more fancy. Bonus: if you happen to actually get your blowout today, it may actually make Monday a little more manageable.